Have you been scouring the internet looking for simple DIY ideas for your wedding? Look no further, we have put together a compilation of quick and easy do it yourself ideas. Most brides are thinking; diys are time consuming, hard to do, and I have so many other things to do to plan for my wedding! Worry not, we understand you’re locked into a time frame. With that being said, we bring you these five simple diy ideas that you can do in three steps or less. In fact, we’ve also linked all the inspiration ideas directly to Amazon, so if you see something you like you can get it quick! Amazon makes things easy and has the fastest shipping! So, let’s get into these Simple DIY Ideas…. Make this simple DIY vintage rustic wedding centerpiece with a mason jar, baby’s breath, and silk rose for your wedding, shower, or home! First, get your Kerr Jars, then get your flowers, and voila! These paper flowers are so easy to make, and they look pretty hanging under draped lights or in an outdoor patio area. First, take the paper and fold it in from side to side. Once you have an accordion like paper, tie it together in the center. After you’ve got it tied go ahead and cut it in the pattern you like! Then open it up, and you’ve got a beautiful flower! Spray paint branches are a cost effective way to set the scene at a winter wedding. 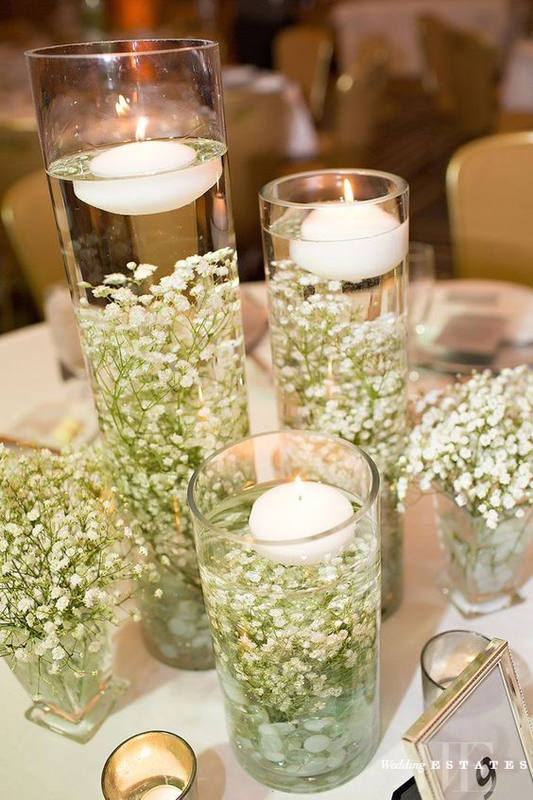 Add them to your florals, centerpieces, or custom pieces around the wedding cake table. 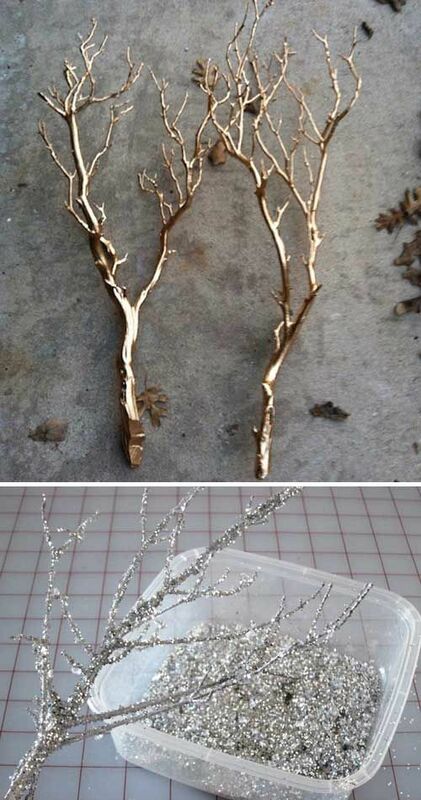 All you need for these is branches and a spray can of gold or silver glitter. 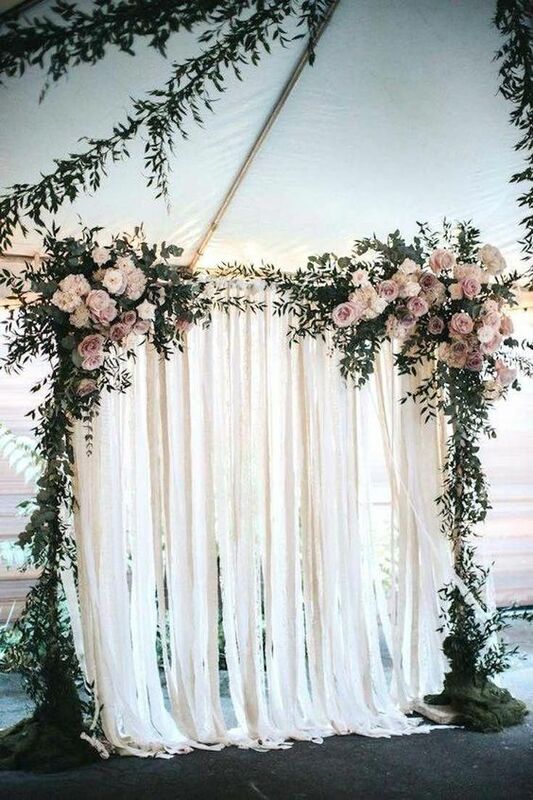 Wedding backdrops are a lot simpler to make than you think! First, you’ll need a frame. Get your man to put something together in the shape you want, rounded or square. Once, you’ve got the frame it’s time to start hanging things. In fact, you can get cloth or paper streamers off of amazon. Start by hanging them from the top, then weigh the backdrop down where you want it. Once its secure, add flowers to each side if you want too and voila! This is one of the easiest diys to do. 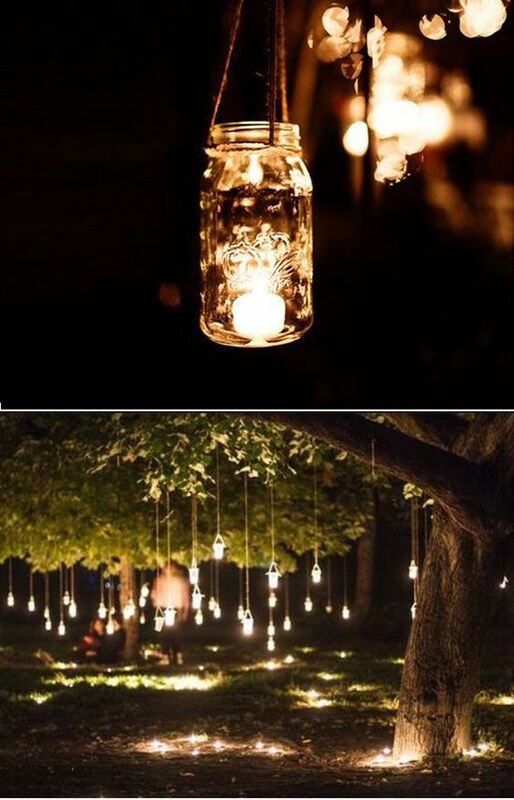 All you need is twine, kerr jars, and plastic candles. Wrap the twine around the neck of the jar and hang it from a tree. Once it’s secure, place the candle inside. Not only does this create a romantically lit picture area, but it also creates a warm ambiance for lovers to walk through and dance near. There you have it! Five very simple ways to do things yourself in a very short amount of time! All the links to each diy are in the paragraphs so check them out if you’re considering these diys!